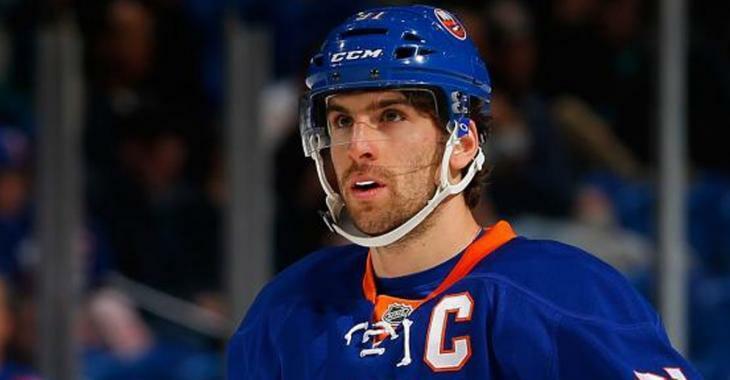 NHL News : Report: A huge hurdle revealed in the Tavares sweepstakes! Report: A huge hurdle revealed in the Tavares sweepstakes! With the first month of the 2017-18 season in the books and New York Islanders captain John Tavares still without a contract extension, rival team GMs keep dreaming about the possibility of landing him when and if he hits the unrestricted free agency. Tavares has been killing it already in just 13 games this year, and is now one of the best players this season with 12 goals and 17 points. This will most definitely raise his asking price this offseason! If he keeps going on this scoring rampage,TheScore has calculated that he will be "in a good position to not just surpass last season's totals of 28 goals and 66 points, but also his career year in 2014-15 when he finished second in league scoring with 38 goals and 86 points." If he hits the free market in July, he could very well score one of the league's wealthiest deals. The rival teams looking to land him, will have to pay up! Tavares is expected to sign an eight-year, $80-million contract, especially if he continues to rack up goals and points like he has. The question is, will teams quit the sweeptakes and the Isles will be able to retain him OR clubs will do everything to offer him the big contract he deserves.